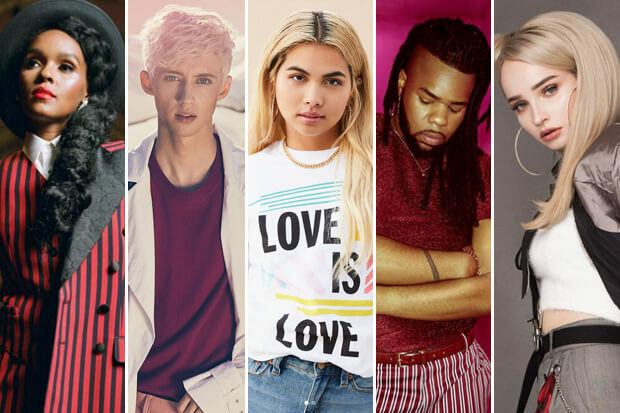 As we celebrate Pride this year, it is worth noting that we are in the midst of an explosion of queer pop. It seems as though every week we are introduced to a new artist intent of sharing their personal experiences with love and acceptance through music. Considering this, it is hardly surprising Hayley Kiyoko dubbed 2018 #20gayteen. In the last few months alone, we have received incredible releases from a slew of LGBTQ+ artists. And we decided to highlight these new anthems and some additional classics. Check out a playlist of all the songs mentioned above plus others from the likes of Christine and the Queens, Wrabel, Years & Years, Big Freedia, ALMA, Frank Ocean and more! Did we miss any essential anthems? Let us know below, or by hitting us up on Facebook and Twitter!